Entrepreneurship is not for the faint of heart, especially as a minority, given all of the competition. In fact, it takes diligence, perseverance, follow through, hard work, and a lot of it to be successful in any business. The thought of pursuing your dream is nice, but putting action behind that thought is just the preliminary phase, and where the hard work begins. And, the going doesn’t actually get tough until you start building your business with your blood, sweat, and your tears. As a fellow entrepreneur, I know about all of this a little too well, but in the end, it’s worth it, because dreaming isn’t just something that we do at night, dreams are meant to be lived. 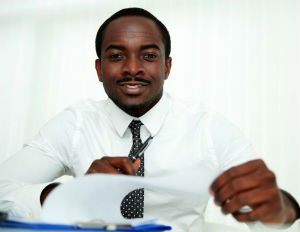 Black-owned businesses have progressed rapidly over the years, and according to the most updated figures in 2007, provided by the U.S. Census Bureau, there were 1.9 million companies owned by black entrepreneurs, so imagine how many more there are to date. Supporting these businesses not only helps the entrepreneurs but also puts money back into the black community. BOBs are depending on the support of their community in order to survive and to thrive. With so many competitors in each industry, things can take a turn for the worst quickly if a business is not careful, therefore, we must be there for each other, diligently supporting. There is power in the black dollar, so why not put that power into assisting a community that understands your heritage and history, and values your life in general. While doing all of this, you should expect a quality product or service in return, and it becomes a win-win for both parties involved. I’ve made it easy by compiling this list. Included are 11 black entrepreneurs that I highly recommend supporting, along with detailed information on each of their businesses. The majority are online businesses and the others that aren’t, be sure to recommend to both friends and family located in the respective areas. Dyron J. Stephens, DrPH, CPH is president and senior partner, along with Richard Stephens II, MBA, who is the vice president and managing partner of Pierian Spring Innovations, L.L.C., located in Decatur, G.A. Pierian Spring Innovations, L.L.C. is the premier management consultancy and health innovations firm, which is founded in and on the belief that improving the well-being of others is the greatest enterprise any entity could embark upon. As a result of this, every action and initiative taken by the firm reflects this dedication to bettering the health-related quality of life of all individuals. The firm operates globally with a professional network of offices throughout the United States and Nigeria. Keli N. Burke of East Lansdowne, P.A. is the independent business owner of Total Life Changes, which has been around for the past 16 years. The results-driven company has products that include all natural ingredients, which allows gradual weight loss, detoxification, and improved digestive system, and that is just a few of many benefits. Keli is committed to the health and wellness of her clients, and she goes above and beyond to ensure that her clients receive one-on-one care and attention based on their personal needs and goals. Shade Adu of Savvy Solutions Consulting, L.L.C., located in Union, N.J., believes that entrepreneurs benefit from leveraging social media and live-streaming. Savvy Solutions aims to create digital branding and online marketing solutions for women entrepreneurs who need support. Savvy Solutions is here to provide strategic solutions for coaches and creatives online. Social media isn’t going anywhere, and small businesses that learn how to strategically leverage these platforms will have a competitive advantage. Entrepreneurs should support Savvy Solutions because our goal is to serve women entrepreneurs who want to turn their idea into a profitable online brand. Ahesha Catalano and her team at Profitable Retreats in Burbank, C.A., assist individuals, couples, speakers, entrepreneurs, health and fitness professionals, organizations, and corporations plan and execute profitable retreats. They give clients a step-by-step guide to ensure the retreat is a wonderful experience for all, and of course, profitable. Anyone who has been thinking of planning a retreat or traveling with a group of friends or family owes it to themselves to see just how profitable their trip can be. Chantilly Oliver-Cross is CEO of Elegant Cuisines, located in Fredericksburg, V.A. Elegant Cuisines, L.L.C. is a personal chef and catering company with over fourteen years of phenomenal service, and has been in business for two years. Their services are available for all business, private, and social events. When choosing Elegant Cuisines for a special event, it’s the marriage of southern hospitality with a touch of elegance. Elegant Cuisines has been voted a locally renowned, best personal chef and catering company in the D.C., Maryland, and Virginia area. Melodie Narain, CEO and founder of Sole Savers, located in Maryland, launched her business in September 2015. Melodie realized that she could no longer wear heels for more than a few hours. After discussing this for a few months with her mother, Teresa Thomas, who could no longer wear heels due to numerous knee surgeries, she realized that there had to be others who faced these same challenges when it came to fashion and comfort. After months of studying trends, Melodie developed a product that she believed would be a perfect remedy which would be a stylish, affordable, and convenient alternative to their fabulous heels. Given all of this “black magic,” which black-owned businesses will you commit to supporting today? Black Girl with Long Hair is a natural hair turned beauty and culture website created by and for black women. Started in April 2008 by Leila Noelliste, the community has grown into a global platform for celebrating the unique beauty, language and culture of black women. Our diverse writing staff includes women of Black American South, Black American East, Black American West, Nigerian, Jamaican and Haitian ancestry, giving us unique insight into the multifacetedness of black woman culture. Our goal is to provide daily content that is interesting, enlightening, thought-provoking and addictive. BGLH is one of the highest-traffic websites for black women aged 18 to 34, with 2.6 million monthly visits and 4 million monthly page views. Join our 418,000 member Facebook page, or find out how you can work with us. The Little Boy Who Could & The Little Girl Who Could series was created by Authors Nehemiah Davis & S.Deen, to inspire & motivate our children readers to be the best that they can be in all areas of life. These books discuss the importance of school as well as the importance of having & following your dreams. We understand that leaders are readers so we created not only fun stories, but stories with messages to encourage our youth to go from good to great. These Inspiring stories will keep our readers engaged from start to finish & they will encourage our youth to read more. These books are also read in MP3 audio format by international Speaker Naeem Hudson & International Entrepreneur Taylor Moxey.